PALE KINGS AND PRINCES A Spenser Novel. Pale Kings and Princes was written by Robert , B. Parker. Pale Kings and Princes was published by Dell Books for Young Readers. 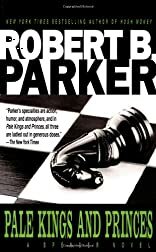 About Robert , B. Parker (Author) : Robert , B. Parker is a published author. Published credits of Robert , B. Parker include Widow's Walk.